The plaque commemorates the completion and opening of Conrad Treasury Casino in June 1995. 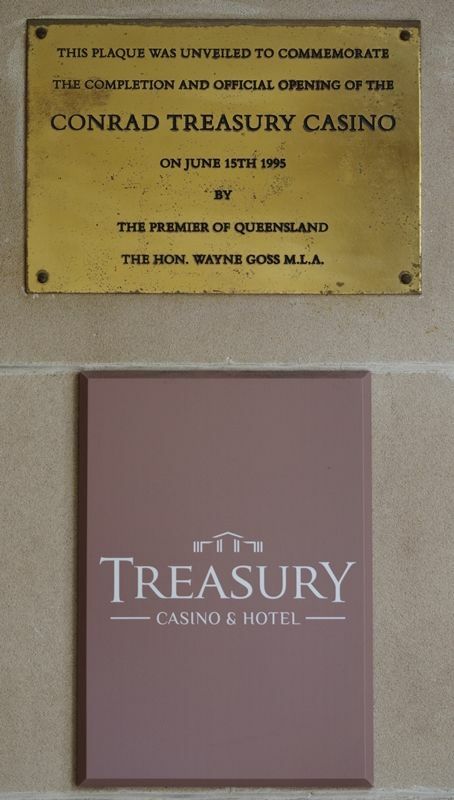 This plaque was unveiled to commemorate the completion and opening of the Conrad Treasury Casino on June 15th 1995 by the Premier of Queensland the Hon. Wayne Goss M.L.A.